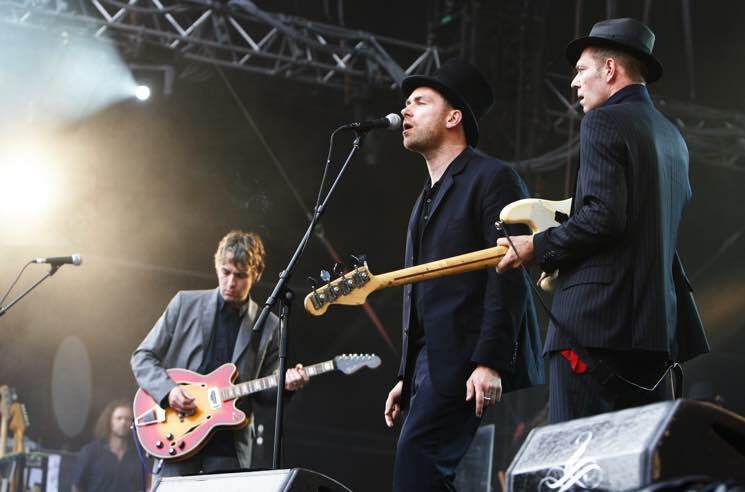 The Good, the Bad & the Queen — the supergroup comprising Damon Albarn of Blur/Gorillaz, Paul Simonon of the Clash, Simon Tong of the Verve and Fela Kuti drummer Tony Allen — have been hinting at a new record, and producer Tony Visconti has just revealed that it will likely be arriving before the end of this year. In a new interview with the Irish Times, Visconti spoke about his involvement with the upcoming album, saying work began on the project in the middle of 2017. "We're about two thirds of the way through and taking a break, as Damon is off on a Gorillaz tour, but we will resume in April and it will be probably be out before next Christmas," he said. "It's a great album and I think people will be very impressed with it." Albarn, meanwhile, has been hinting at the follow-up to the group's 2007 self-titled debut for a few years now. In 2014, he said that the record was "fully written." Last year, Albarn elaborated on the inspiration behind the new material, saying, "Brexit has obviously given us a wonderful starting point." "It's an ode to the North of England, bizarrely," he further explained, speaking to NME last year. "It's sort of set in Blackpool, between Starr Gate and [historic pub] Uncle Tom's Cabin, if you want to be geographically precise." Discussing his working relationship with Visconti, Albarn added, "He's responsible for some of my favourite records, so that's been really enlightening and inspirational." Visconti is famed for his extensive production work with David Bowie, including the late singer's final album Blackstar. He also recently wrapped work on a new album with the Damned.